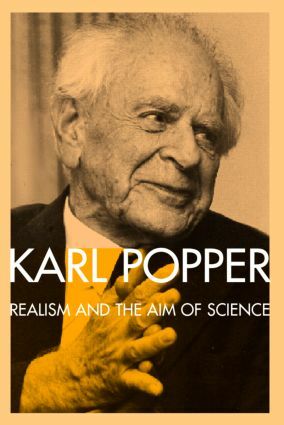 Realism and the Aim of Science is one of the three volumes of Karl Popper’s Postscript to the Logic of scientific Discovery. The Postscript is the culmination of Popper’s work in the philosophy of physics and a new famous attack on subjectivist approaches to philosophy of science. Realism and the Aim of Science is the first volume of the Postcript. Popper here formulates and explains his non-justificationist theory of knowledge: science aims at true explanatory theories, yet it can never prove, or justify, any theory to be true, not even if is a true theory. Science must continue to question and criticise all its theories, even those that happen to be true. Realism and the Aim of Science presents Popper’s mature statement on scientific knowledge and offers important insights into his thinking on problems of method within science.